Many residents are wondering whether or not the Community Design Plan (CDP) is worth the paper it’s printed on and are expressing dismay with the consultation system. Only time will tell how this decision will affect future development in Westboro and along Richmond Road. Your thoughts on the matter, as always, are welcome. City planning staff have submitted their report and are recommending approval of the proposal with no changes. The report will be considered at the next meeting of the city’s Planning and Environment Committee on Monday, August 18th beginning at 9:30 am. in the Champlain Room at City Hall, 111 Laurier Avenue. This is the last opportunity for the community to express its views on this development before it goes to full City Council for approval. 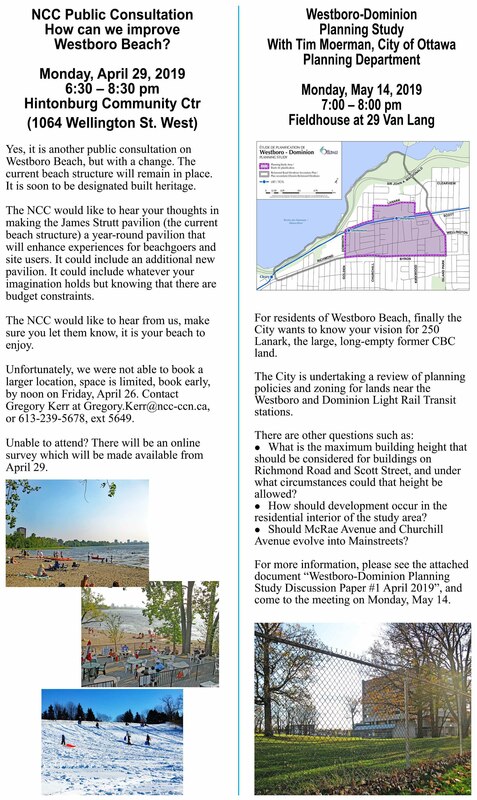 The WCA plans to address the committee and encourages other community members to do so too or submit comments in writing. To register to speak, you must notify the Committee coordinator (Rob Tremblay, 613.580.2424 ext. 28828 / rob.tremblay@ottawa.ca) or fill out a Request to Speak form available at the beginning of the meeting. Presentations may not exceed 5 minutes. Written submissions must be sent to the same person by end of day on August 15th. Note: only groups and individuals who make oral or written submissions to Planning Committee will have the right to take part in any Ontario Municipal Board hearing if this proposal is appealed. We invite you to copy the WCA on your submission or request to speak. Our email address is hellowestboro@yahoo.ca. … are now available here in PDF format. … a.k.a. the proposed development at the corner of Richmond and Roosevelt Ave.
Read the rest of the document in PDF format here. Here’s something interesting: check out the PDF of the “Planning Rationale” document, as posted on the City of Ottawa website. If you have anything to say about this issue, comments need to be received by Douglas James by July 4, 2008. Your emails are valuable feedback. Please take a moment to write or call and let the City of Ottawa know what you think. Please consider coming out to our village meeting on June 17th. This is your opportunity to have your say. The meeting will be moderated by the WCA and Councillor Leadman has been invited to attend. We are expecting a large turnout. Parking is very limited, so please consider using alternate transportation, thank you! 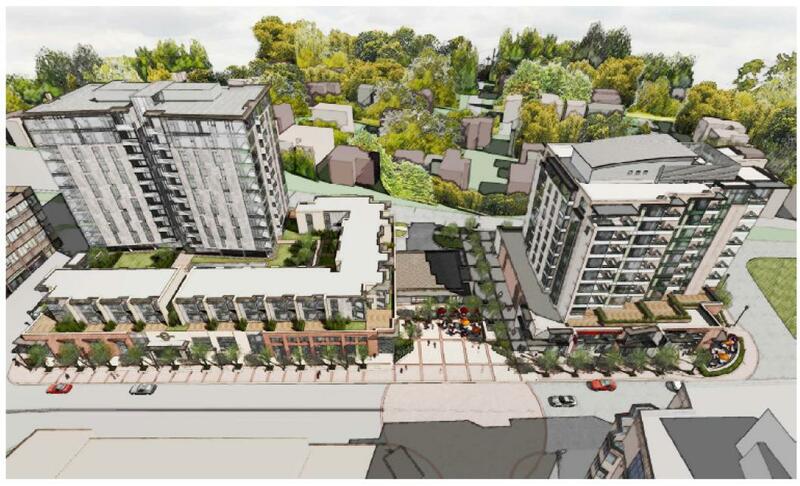 twelve storeys at Roosevelt and Richmond? This illustration will give residents a better idea of the Phase 2 proposal for Westboro Station (Bourk site). The developer indicated they would be seeking re-zoning to permit a twelve-storey building at Roosevelt between Richmond and Byron.